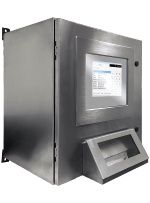 K-3™ kiosk is a self-contained Microsoft Windows data collection system that is designed specifically for those sites that require a flexible data collection terminal. 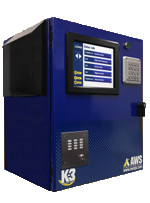 The K-2™ kiosk is a self-contained non-Microsoft Windows data collection system that is designed specifically for those sites where having a PC-based data collection terminal may not be feasible or desired. It can either be mounted inside the scale house or outside on a post or pedestal near the scale. 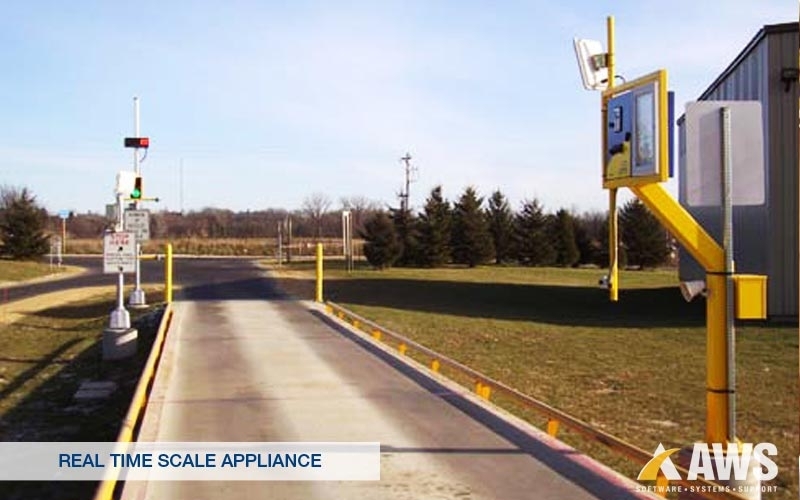 The Real-Time Scale Appliance (RTSA) is an unattended truck scale kiosk system that interfaces directly to a computer running our Interact scale software. As transactions take place, they are automatically stored in the computer database, reducing the need to import any data. Office personnel can click an icon that switches the system between attended and unattended modes. The link between the computer and the RTSA is a direct connection (e.g. cable, fiber-optic, or wireless) or dial-up. Our Interact truck scale software controls all communication between the computer and RTSA. 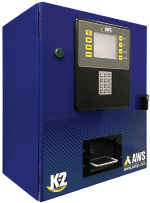 AWS offers two types of Remote Printers specifically designed to speed up the process of weighing a truck. Gas pump style thermal tickets are the most reliable and lowest cost, while laser printers provide a more tangible transaction record due to a non-fade paper stock. Now drivers can enter information in a similar fashion to restaurant staffers and retail clerks. 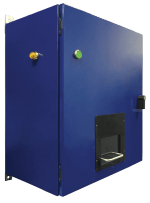 Using AutoTouch, along with a touch screen display, provides one of the most flexible, user-friendly interfaces on the market today! Drivers have the ability to enter codes or choose from a predetermined list. As they make their entries, they are instantly validated with code and description. After the final prompt, the driver will be asked to review the information before printing the ticket. If any changes are to be made, the driver simply presses the CHANGE button next to the category and re-selects the item.